When young children dream of being ballerinas, it often starts with going to see The Nutcracker or Swan Lake, which results in twirling and Plie-ing all around the house. To know this is true, just ask a few of the young women who are going to be dancing in The Nutcracker this season in Madison and Milwaukee. Four students from Dance Now! Studios have the honor and the joy of being part of this year’s dance troupes performing The Nutcracker in the area. Owner Julie Ronzoni stresses that achieving these coveted spots isn’t easy, but hard work and hours of practice have paid off. Their parents, teachers and communities are proud of them. Summer and Deanna Feil from Randolph have both been dancing since preschool age. Their love of dance is evident in their commitment and dedication. Deanna Feil is only 12 years old but will be dancing at the Wisconsin Union Theater in The Nutcracker on December 15th and 16th. This is her first time performing in The Nutcracker with Dance Wisconsin. According to dance instructor ‘Miss Kristi’ (Kristina Miller), Deanna has worked her way up over the last two years through hard work and dedication. She has even honed her skills enough to get into Supernovas, the highest dance team level. Deanna says she was inspired by her sister, Summer. After watching Summer’s recital, she told her mom she wanted to do that, too. At age four, her mom signed her up. In Summer’s words, the competitions are ‘super fun’ and she loves getting to hang out with her friends. She loves to choreograph dances and hopes to be a dance teacher one day. Her older sister has loved dance and music since she was five, and she was indeed dancing around the house. This is her second year with Dance Wisconsin in the Nutcracker, and she will be performing in the Mouse, Angel, and Russian dances. “I love performing and being on stage dancing. Last year was a great experience meeting new people and learning amazing choreography. My favorite part of being involved in dance is that dancers are like one big family. We help each other out and are always there for each other. It’s great to know I am with friends and we are all doing what we love,” said Summer. Summer is fifteen years old and is known by other dancers in the company as “The Ninja.” Her jumps are completely silent and simply amazing to see. According to her teachers, she brightens the class with her positive attitude and is focused and dedicated. Summer is training in ballet, pointe, tap, jazz, lyrical and musical theater. She is also on the Supernova Dance team. The teachers who work with these dancers have a wealth of experience and training and have performed around the country and on cruise lines. Beth Brooks is a new instructor, who recently received her Dance Masters of Wisconsin certification. She, along with the others, are certified as a Youth Protection Advocate in Dance. Kacy Prange has danced professionally with several companies and cruise lines and has been an instructor at Broadway Dance Center in New York. Kristi Duchrow continues her own professional development and trained with the American Ballet Theater during her summer breaks. It is no wonder that each of these young people wants to keep dance in their lives. 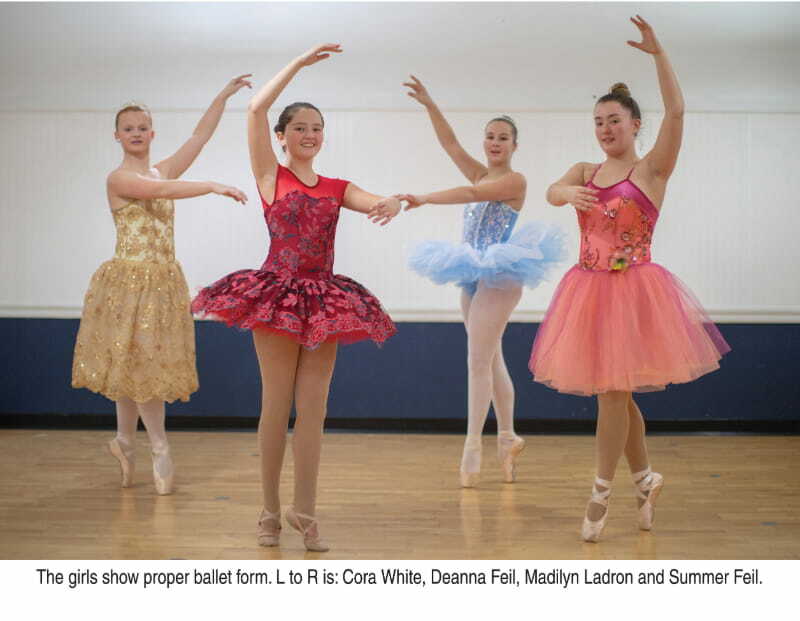 Cora White, a Dodgeland student from Reeseville, hopes to be a principal dancer with American Ballet Theater. Cora started at age nine. After a car accident when she was six years old that required over a year and a half of recovery time, she knew she wanted to live life to the fullest. Asking for dance lessons was the start of a love affair with dance. “Cora is a dancing powerhouse. She is an amazing athlete, which makes her dancing intense and beautiful. She also portrays emotion exquisitely in her dancing,’’ said Kristi Miller. This year Cora will be dancing from December 8-26th with the Madison Ballet Company at the Overture Center in Madison. “When I am performing, I feel like I am flying, and it’s the best feeling in the world,” Cora said. She added that everyone at the dance studio is so supportive. She, like Summer and Deanna, loves being with her friends and performing with them. They all spend many hours at home and in the studio outside of class practicing. Madilyn Ladron is a freshman at Beaver Dam High School. This year will be Madi’s fourth Nutcracker appearance. She will appear in the Moscow Ballet Great Russian Nutcracker at Miller High Life Theater in Milwaukee. Madilyn’s dream is to become a world-renowned Rockette in the future. 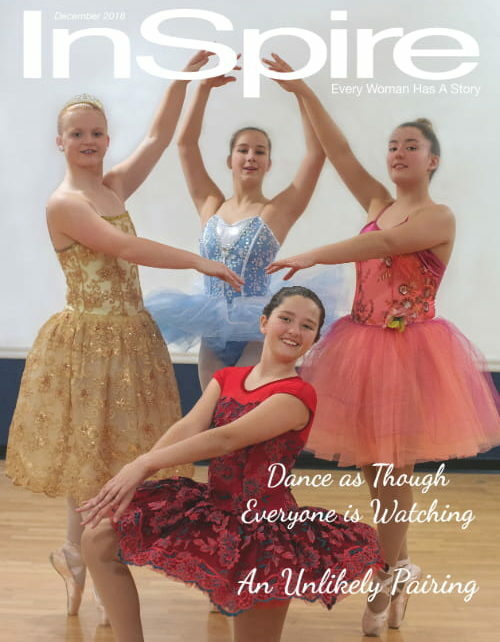 Teaching dance to aspiring dancers of all ages will be part of her life as well. She has been called a fearless firework of a dancer with extreme flexibility and star quality on stage. “Her fearlessness has enabled her to take great strides in her training and has inspired other dancers in the company to try things they might be afraid of,” Kristi Miller said. Each of these talented dancers has specialties, from Summer having a talent for turning left (something many dancers struggle with) to Deanna being able to refine her skills and get a part in Nutcracker. Dance has taught each of them more than movement and skills. Exposing them to travel opportunities and meeting people from other states, and even other countries, has opened them up to new horizons.